(RIU) –Sri Lanka is one of the first middle-income countries to adopt a strong tobacco control policy. The country ratified the Framework Convention on Tobacco Control (FCTC) and made early progress with a ban on enclosed public place smoking, graphic health warnings, ban on sales to persons under 21 and a ban on sponsorship, supported by a voluntary industry effort prior to these entering law. As per a WHO report, the island has a high compliment of smoke-free policies and record adult daily smoking prevalence at 10 percent parallel to India, whilst Indonesia recorded 34 percent. However whilst significant progress has been made where health is concerned, recent government measures have created potentially serious economic costs in terms of the loss of revenue to the government as well as negative social costs that are continuing with the growth in smuggling and related criminal activity. It adds that the sale and consumption of illicit tobacco increases consumption, impacts public health, reduces tax revenue and provides an argument against tax increases. The report which provides insights on the trade of smuggled cigarettes says the illicit market share is around 14 to 18 percent for cigarettes and 26 to 29 percent for beedi which translate to 500 to 700 million sticks of cigarettes and 1400 to 1700 million sticks of beedi in 2018. “In other words, the smuggled cigarette market turnover could be anywhere between 15 to 20 billion rupees which is about 11 to 15 percent of the value of the legitimate market size while illicit beedi market is worth 4 to 5 billion rupees which is about 5 to 6 percent of the value of the legitimate market.” This massive size and value of the illicit market means loss of revenue for the government, to the industry, and for those whose livelihoods are connected with legal tobacco industry such as tobacco farmers and beedi rollers. Whilst strong penalties for large-scale smuggling and heightened enforcement are key devices to tackle the illicit trade in countries, it is also necessary to monitor tax and price levels in neighbouring countries to limit cross-border flows which, due to their low-quantity/high-frequency nature, are particularly difficult to control, the report adds. Rising illicit tobacco smuggling is becoming a global concern and many countries have joined the fight against this illegal trade and in Sri Lanka too it is imperative that the illicit trade in tobacco is eliminated through multiple tools and mechanisms, both at policy and grass-root levels. Over the past two decades, countries around the world have adopted an array of tobacco taxation policies. Some countries have implemented rapid increases in duties others have adopted a more gradual approach with few sudden jumps in excise. Despite representing a range of markets with different underlying characteristics, a common lesson can be drawn from all of these experiences: increasing excise levels without regard for consumers’ purchasing power is detrimental to the tobacco market, undermines the sustainability of government revenues, and is likely to result in the development of large, unregulated illicit markets. A 40+ percent increase in price of cigarette sticks in October 2016 made Sri Lankan cigarettes the most expensive, in absolute terms, in the South-East Asian region and the second most expensive on a purchasing power parity (PPP) basis globally (WHO, 2017). 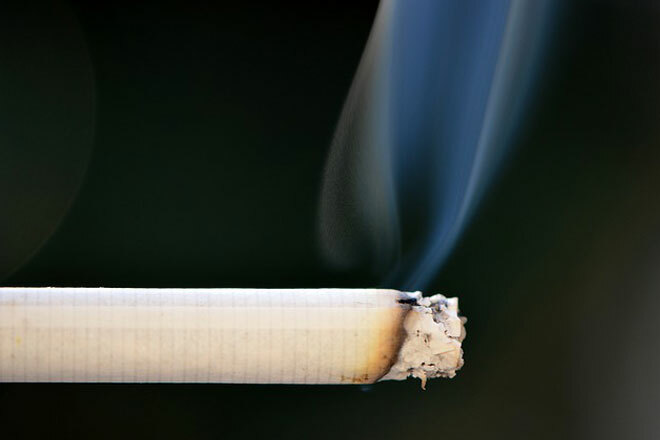 Tax discrimination encourages users to switch from one tobacco product to the other. Therefore, RIU says the focus of the policy should be on tobacco and all tobacco products, rather than just cigarettes. In this way the government will be able to maximise revenue while achieving low smoking prevalence rate. Furthermore statutory oversight is needed to monitor the unregulated informal sector. Any new policy measure should only be considered after evaluating their actual contribution to achieving health and fiscal objectives.